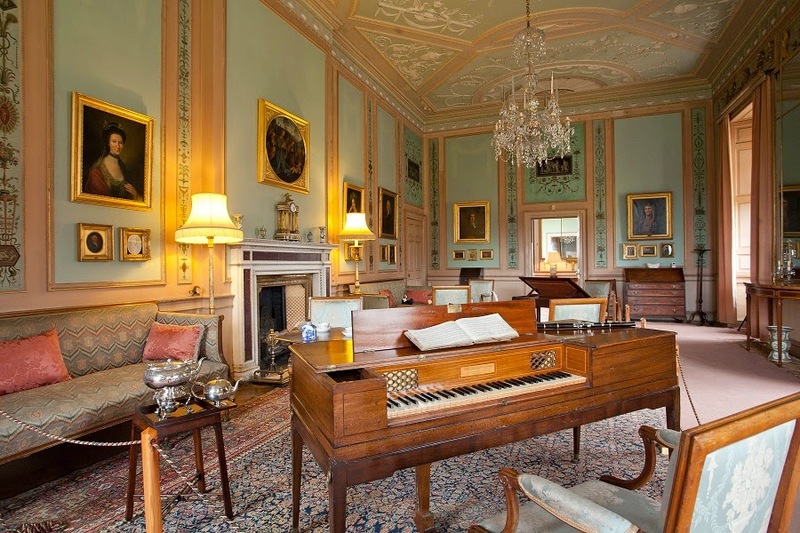 The Society’s Summer outing took us to Paxton House, west of Berwick-upon-Tweed. An impressive country house and estate completed in 1763, the house held circumstantial connections with Admiral Collingwood, in addition to an interesting and impressive history in its own right. We were treated to a private tour, followed by a specially arranged viewing of some of their (usually hidden) maritime artefacts in the library. 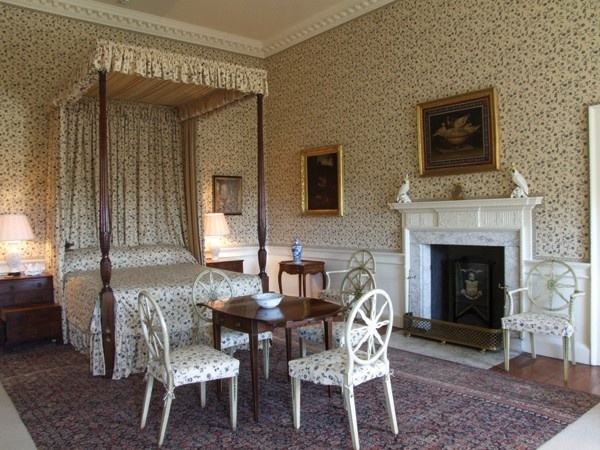 Paxton House has historical associations with Admiral Sir David Milne (1763-1845), a younger contemporary of our Admiral, who entered the navy as a Midshipman in 1779. 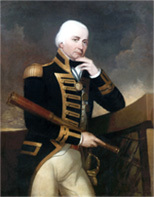 Milne served on HMS CANADA in the West Indies between 1779-83 and was present at both the Battle of the Saintes and the relief of Gibraltar in 1782. He undoubtedly met with Admiral Collingwood on several occasions, although they do not appear to have actually served together. Milne did though attract the attention of Admiral Sir John Jervis in the Mediterranean between 1794-97, when Admiral Collingwood commanded HMS EXCELLENT; Milne commanded a frigate and contact can therefore be assumed with a fair degree of certainty. Despite the relative remoteness of the venue and uncertainty of the late May weather, 20 members made the trip and a fine day was had by all, with several walking the grounds after the tour of the house. 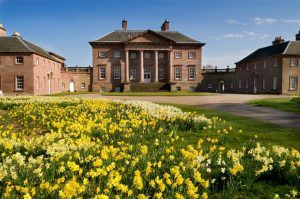 ** Postscript: On the day, Dr. Tony Barrow advanced the theory that the small painting of Collingwood held by Paxton House had been the result of a mutual acquaintance of the Homes and the Collingwoods, that being Dr. Alexander Carlyle. Subsequent to our visit, the following theory came from the team at Paxton to the effect that Collingwood had met Ninian Home in the West Indies, when serving on that station. 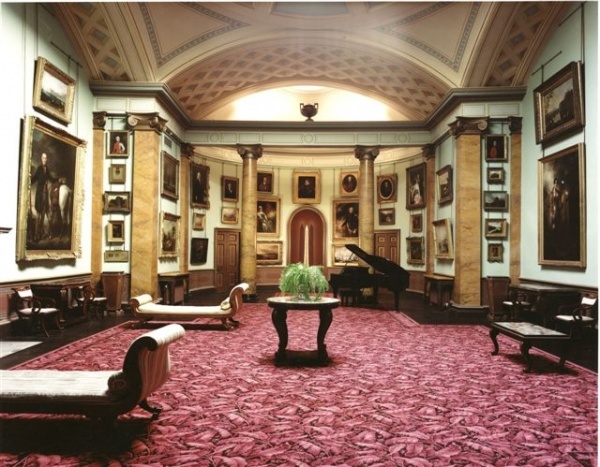 Ninian was the second owner of Paxton Hall.